HostSearch interviewed Kaumil Patel, COO of GreenGeeks - a leader in providing green energy web hosting solutions. HOSTSEARCH: Kaumil, thank you for speaking with us like this. First of all, please tell us a little about GreenGeeks and your role within the organization? 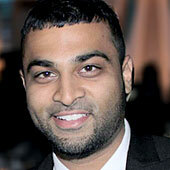 KAUMIL PATEL: GreenGeeks is an Internet company that provides web hosting tools and services to individuals and SMB’s. We’re the leader in providing green web hosting services with our 300% wind-energy offset commitment. My role within the organization is Chief Operating Officer. KAUMIL PATEL: GreenGeeks provides shared hosting, reseller hosting, VPS hosting, dedicated servers, domain registration along with many other add-ons such as dedicated IP’s, SSL certificates, security scanning, etc. 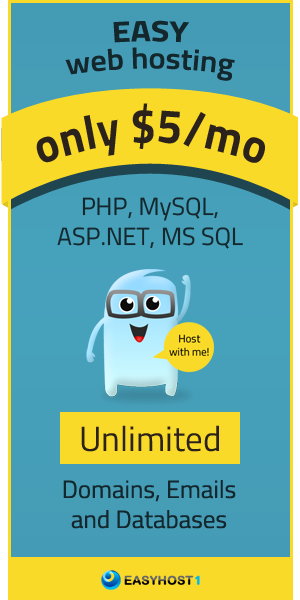 HOSTSEARCH: We know that GreenGeeks offers variety of products and services - Shared, Reseller, VPS and Dedicated hosting. Do you have plan for any new lines of services? KAUMIL PATEL: We feel that we have a great suite of products that we offer our customers already and we are always enhancing our current products/services by offering faster hardware, support and features. It’s very possible that if the opportunity presents itself, we could offer a new product line. HOSTSEARCH: As GreenGeeks has been listed in Inc.'s 2013 - 500|5000 Fastest Growing Companies in America, can you tell us more about this? KAUMIL PATEL: GreenGeeks being listed in the INC 500|5000 Fastest Growing Companies in America list cemented us as one of the elite growing businesses in America and that was special for us. It showed us that our commitment to providing exceptional services and customer service has allowed us to accelerate our growth. We look forward to continuing this trend. HOSTSEARCH: What are the factors supporting GreenGeeks to be the fastest growing web hosting company? KAUMIL PATEL: It's our consistent execution of being the best web hosting provider in the business. Everyone at GreenGeeks loves the web hosting business and our customers take notice of this. We’re also continually adapting our business to feedback that we get from our customers and that has further allowed us to ensure complete satisfaction. KAUMIL PATEL: Climate change is a problem. Trey wrote a guest piece on Drupal’s blog on why we need to push for a Green Internet (https://association.drupal.org/node/18323). It’s really simple though; the web hosting industry is going to be as big a polluter as the airline industry by 2020. Not many people know that computers and the Internet emit tons of carbon, simply because people don’t actually see it. HOSTSEARCH: What made you decide to become a green hosting company? How has GreenGeeks gone green? KAUMIL PATEL: GreenGeeks set out on a mission to bring awareness to having a greener Internet and by way of example as it was very dear to our hearts. GreenGeeks offsets 3 times in the form of renewable energy, the power it consumes for staff and data center usage. Many of our staff also work from home to prevent the emissions of carbon driving to and from work. We’ve also forced many of our competitors to go green and that’s a good thing for everyone. HOSTSEARCH: Can you describe your customer support services? KAUMIL PATEL: GreenGeeks offers 24/7 customer support via live chat, e-mail and phones. We pride ourselves on not just response time speed, but resolution time speed. You can get a hold of our support within seconds and issues resolved in minutes. That’s what makes our service great. We’re a provider that you can rely on. 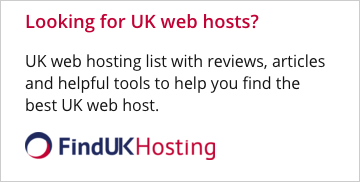 HOSTSEARCH: And our final question, any advice to our visitors who are thinking of getting into Green web hosting? KAUMIL PATEL: Do it. It would be irresponsible not to.